This article has been deleted by Abcnews on 10 February 2019, 19:59. We keep a copy of it on Undelete.news website available for everyone. Julian Assange: Hacker. Journalist. Diplomat? Newly released Ecuadorean government documents have laid bare an unorthodox attempt to extricate the WikiLeaks founder from his embassy hideaway in London by naming him as a political counselor to the country's embassy in Moscow. But the 47-year-old Australian's new career in international affairs was nipped in the bud when British authorities vetoed his diplomatic status, effectively blocking him from taking up the post in Russia. 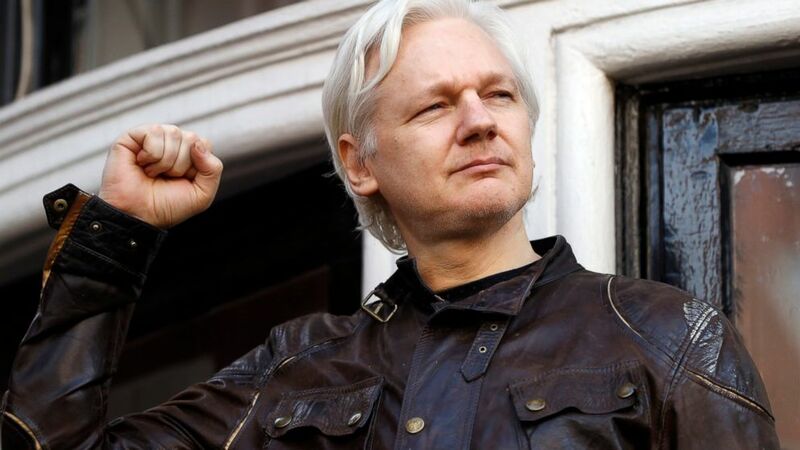 The files were made public late Tuesday by Ecuadorean opposition lawmaker Paola Vintimilla, who opposes her government's decision to grant Assange nationality. They largely corroborate a recent Guardian newspaper report that Ecuador attempted the elaborate maneuver to get Assange to Moscow just before Christmas last year. Russian diplomats called the Guardian's story "fake news," but the government files show Assange briefly was made "political counselor" to the Ecuadorean Embassy in Moscow and eligible for a monthly salary pegged at $2,000. Ecuador also applied for a diplomatic ID card, the documents show, but the plan appears to have fallen apart with the British veto. A letter dated December 21, 2017 from Britain's Foreign Office said U.K. officials "do not consider Mr. Julian Assange to be an acceptable member of the mission." An eight-page memo to Vintimilla summing up the episode noted that Assange's position as counselor was scrapped a few days later. WikiLeaks did not return messages. The British Foreign Office and the Russian Embassy in London declined to comment. Assange's relationship with Russian authorities has been the subject of intense scrutiny following the 2016 U.S. election, when Russian spies are alleged to have handed WikiLeaks leaked emails from presidential candidate Hillary Clinton's campaign in a bid to help elect her rival, Donald Trump. Assange has denied receiving the files from the Russian government or backing the Trump campaign, despite a growing body of evidence suggesting he received material directly from Russia's military intelligence agency and coordinated media strategy with Trump's son, Donald Trump Jr.
Last month, the AP published internal WikiLeaks files showing Assange tried to move to Russia as early as 2010.